Posted on July 15, 2013 by m.m. 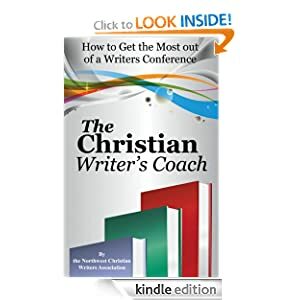 NCWA blog welcomes back author and speaker, Leslie Leyland Fields! Leslie shares with NCWA blog on the 3rd Monday of each month. Our freezer is nearly empty. We’ve eaten all of last year’s fish and meat, which constitutes a near emergency. Tomorrow I’ll close my computer, ignore my writing deadlines and head back out by bush plane and boat to an island in the Gulf of Alaska where I’ve worked in commercial fishing with my family for 35 years. We were so busy with the commercial season this summer we didn’t have time to put up our own fish for the winter, the wild salmon that will feed us luscious Omega-3 saturated flesh weekly through a long season of dark. We also harvest berries, venison, halibut and sometimes caribou. Putting up our own food stores, which goes by the shorthand term “subsistence,” is a normal and necessary part of most people’s lives in rural Alaska. I started re-reading Gilead, Marilynne Robinson’s wise and extraordinary novel. Her profound musings on the worth of life, as spoken through John Ames, an elderly pastor, remind me how empty my writer’s pantry has become. The authors who have sustained me through the decades—Frederick Beuchner, Annie Dillard, Richard Wilbur, Eugene Peterson, Walter Brueggeman, Gerard Manly Hopkins, Emily Dickinson—have become strangers of late supplanted by blogs, social media, and research for other writing projects. These are all quick, short reads full of good information, but I’ve been achingly hungry without knowing it. I realize that my writing life is little different than my food life. I’m often so busy on the commercial end of the work—the marketing, creating the next book proposal, the social media—that I forget to do the real subsistence work. While I’m as tempted as anyone else to spend my time feeding on strategies to garner audiences and master social media, ultimately, I’ll starve on such a diet. “Fifty-seven Ways to Grow Your Platform,” while helpful, will do little to awaken mystery, stir my imagination, provoke paradox, unearth wisdom, deepen my humanness, all of which is why I began to write in the first place. I realize if I maintain a steady diet of techniques, I’ll soon be setting an impoverished table for not only myself, but also for my readers, who come themselves needing sustenance. Posted on May 20, 2013 by m.m. NCWA blog welcomes author and speaker, Leslie Leyland Fields! It’s a stunning close to an inspiring essay. But the beauty of the language disguises the horror of the scene. The weasel latched onto the wrong bird. His actual death was not likely very poetic. As writers and as people of faith, we’re not as horrified as we might be: death is not our final fear, and we understand the larger metaphor of death. But we needn’t seek it out. There are so many ways to die as a writer already, I’d like to save us from an unnecessary demise or two with a few simple words: Choose the right bird. When you discover you’ve chosen wrongly, let go. The weasel operates by instinct alone. We can do better. We can’t see into the future to know whether a project will ultimately succeed, but we can follow our given passions, testing them thoroughly with research, prayer, and rough drafts. If a project falters, as all seem to do at some point, we persevere until—-we cannot. Then, we pry ourselves loose and let it go. Not easily, and never prematurely, but our bones will stay hinged and our musky flesh will live to choose another subject, another day, one that may indeed send us soaring.